Hōkūlani Massage Academy is located in the heart of upcountry Waimea, or Kamuela, on the Big Island of Hawaii. Waimea sits at a cool elevation of 2,000 feet above sea level, nestled among the rolling green hills of Kohala mountain, the oldest extinct volcano on the Big Island. World-class beaches are only a 20 minute drive away, but in Waimea, pleasant mountain breezes reign. 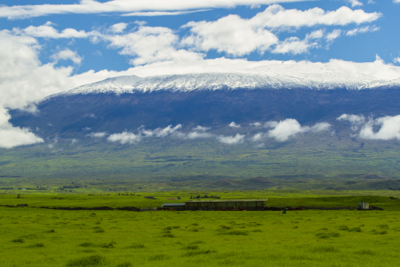 Bigger than all the other Hawaiian islands put together, the Big Island is the most unique and diverse of the islands. Nearly all the world’s climate types can be found here – snow-capped mountain peaks, erupting volcanoes, tropical rainforests, lava rock deserts, and everything in between. Equally beautiful is the culture, in which residents and visitors from around the world work together to create art, food, and experiences which can be found nowhere else. It’s an incredible place to study the incredible healing art of massage! We are located at 65-1188 Mamalahoa Highway in Waimea, at the intersection of Lindsey and Mamalahoa, across from First Hawaiian Bank.